Where I live, only small remnants of the once extensive Natural Temperate Grasslands remain. To understand the ecosystem in some depth, I joined local advocacy groups, participated in rare plant surveys and volunteered as a seed collector in the field with botanists from the National Seed Bank. In the studio I experimented with ways to represent different plants. 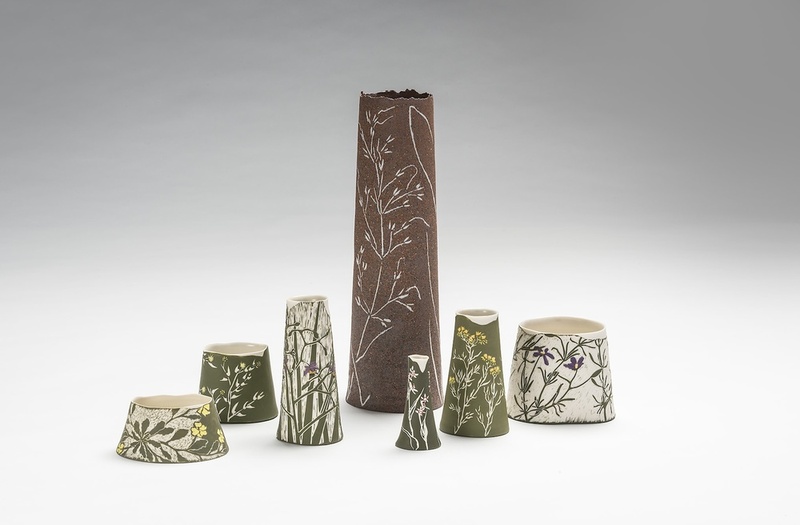 Porcelain inlay in robust stoneware clays for grasses, ink inlay for delicate orchids and sgraffito for small forbs. Each vessel signifies a plant species and grouped together, an ecosystem.